IT Services and Solution Provider bolsters their national position with addition to the team. Solutions II, an award-winning IT Services and Solution Provider specializing in Managed Services, Cyber-Security and Data Center solutions nationwide with practice areas in Public Safety and Gaming welcomes Chris Swahn as the Vice President of Sales. This strategic hire for Solutions II supports their plan for skilled growth and maintains the highest level of focus on client satisfaction. 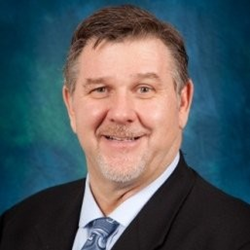 Chris was recognized by his industry peers as a “CRN Channel Chief” in 2014, a seven-time “Excalibur” Recipient for excellence at AVNET Technology Solutions and proudly served in the United States Army from 1977 through 1980 in Baumholder, Germany. Chris has held executive and sales leadership positions at several partner firms during his tenure as well as Senior Vice President of Sales - TS Americas at Tech Data/Avnet Technology Solutions in Phoenix, AZ. Founded in 1992 and headquartered in Littleton, Colorado, Solutions II continues to forge strategic partnerships with clients through architecture, design and providing services and solutions that solve critical business problems. Their offices throughout the United States provide best-in-class solutions for the IT Data-Center with specialized skills in the Public Safety and Gaming industries. About Solutions II. Solutions II is nationally recognized for world-class innovation in security, virtualization, business continuance, infrastructure, cloud and professional and managed services. Solutions II delivers comprehensive security solutions in vulnerability management, endpoint protection, event dashboards, firewall and other edge and cloud technologies. Solutions II empowers the enterprise to maintain an enhanced security posture, manage corporate risk, improve compliance, and attain proactive detection and prevention of security threats to their computing infrastructure, data, and applications.